Art by students of grade six, Suncity School, Gurgaon, India. 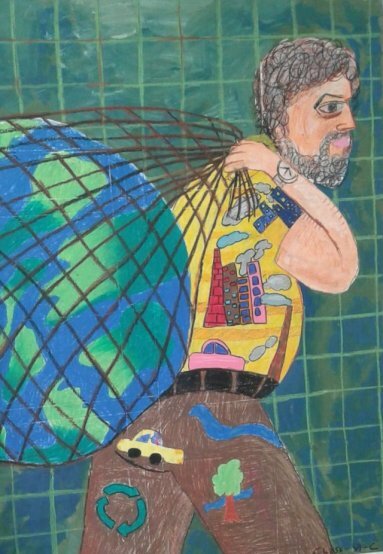 Man is grabbing all of earth's resources with utter disdain, disregard for its well being. He doesn't realise that the loser if man himself.